What size solar panel array do you need for your home? And if you’re considering battery storage, what size battery bank would be most appropriate? This article includes tables that provide an at-a-glance guide, as well as links to more comprehensive calculators. If you’re considering solar panels for your home, you’ll get the most value from them by directly ‘self-consuming‘ the energy that they produce during the daylight hours. 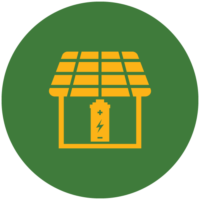 The simple reason for this is that using the solar yourself allows you to avoid purchasing expensive energy from the grid instead of earning only a small credit for sending it into the grid. This is a crucial fact about going solar in Australia today. Your rate of self-consumption will depend on a few factors, including the amount of energy that you use on a daily basis, the pattern of your consumption throughout the day, and the size of the system that you install. We recommend that you aim to self-consume at least 30% of the energy that your solar system produces. Bonus tip: You can increase your solar self-consumption ratio by running more of your devices during daylight hours – possibly manually, on timers or using a home energy management system. The table below contains very rough solar self-consumption ratio estimates for a range of popular solar system sizes and energy consumption levels. If the cell is red, the system is probably too large (or better suited for having batteries). If the cell is green, the system size is likely have a favourable payback period (keeping in mind that the higher the percentage is, the better). Using Sunwiz’s PVSell software, we’ve put together the below table to help shoppers choose the right system size for their needs. PVSell uses 365 days of weather data Please read the paragraphs below and remember that the table is a guide and a starting point only – we encourage you to do more research (and get more opinions) before deciding on a system size. Battery storage system sizing is significantly more complicated than sizing a solar-only system. While solar panels generate energy, batteries only store it, so their usability (as well as their value) is based first and foremost on the energy available to fill them up (which usually comes from your solar panels). The size of the solar system installed (or to be installed) will usually be the primary dictator of the size range of the batteries which can be paired with it, followed by the home’s energy consumption levels and usage patterns; if a home uses a lot of energy during the day, there will be less solar available to go into the batteries. Further compounding the matter is the fact that people have different goals when it comes to home solar batteries: The primary goal for most people is to save money, but energy independence and backup power are also held in fairly high regard. 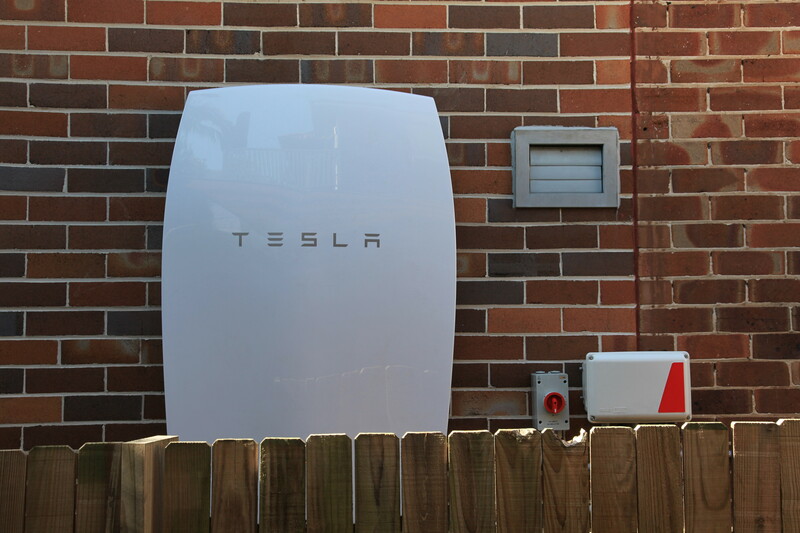 Battery storage system sizing is therefore a very particular and highly individualised matter. If a battery is too large, it will be underutilised, and if it is too small it may not achieve the energy independence goals of the household where it is installed. To account for this in the table, where the solar system size is large enough we’ve included two figures: The first being the maximum recommended battery size for financial purposes (trying to optimise for payback period and return on investment), and the second being the recommended maximum for energy independence (the number of days the home can go without drawing from the grid). Please note that systems whose purpose is energy independence will be significantly more expensive and usually have much poorer payback times than those that don’t because of the need for redundant, excess capacity which will sit idle and unused most of the time. ‘Maximising returns’ – refers to the battery largest battery bank size (in kilowatt-hours, kWh) that can be installed which the solar system can charge up to full capacity at least 60% of the days of the year. The figures in this table are for the largest recommended size; smaller battery banks will usually offer better returns. ‘# days of energy autonomy’ denotes the maximum estimated number of consecutive days that a home can go without drawing energy from the grid in the event of several days of bad weather; you can use this as an approximation of how ‘off-grid ready’ your system will be (as long as your energy consumption levels don’t increase). Best practice is to have at least 3-5 days of energy autonomy built into your system if you plan on going off-grid (which is an option you should pursue only after careful consideration). ‘# days blackout protection’ refers the the amount of time that you’d be able to continue consuming energy as per usual in the event of a grid outage (you may be able to extend this by rationing your energy usage). Having blackout protection requires some excess battery capacity, as well as equipment that enables backup power functionality (read more here). We’ve only included a figure for battery backup in instances where the battery can be charged to full capacity at least 60% of the days of the year. Can you tell me when new back up batteries ( new technology) will be available and when the government will subside there batteries . Hi Sinikk. Backup power is already possible with the right battery setup. As for a government subsidy, a few small jurisdictions (ACT and City of Adelaide) offer battery incentives, but there is nothing on the federal level. These tables are all well and good but when determining the economic criteria it falls apart because of the current huge disparity in costs between different battery storage makes. A Powerwall 2 with a stated capacity of 13.5 kWh and a cost of say $12000 installed compared to a Sonnen 6kwh with a installed cost of $12000 it’s a no brainer whatever else is variable i.e. Size of PV system home consumption or usage patterns. Even if you don’t use the full capacity of the PW2 battery it still represents better value and you don’t need a complicated chart to tell you that. Or am I missing something? Thanks always for your thoughtful input. You are well on point with this observation. We’ve written lots of articles on the financial case for solar & batteries and regularly point out (e.g. here) that – for now – solar makes more sense on its own. We’ve also pointed out that smaller battery banks tend to have faster payback periods than larger ones for the majority of homes. Our calculators yield the same results as well. The focus of this article is sizing, with the aim of educating people about how large a battery bank they can actually make use of – giving them a starting point for shopping around. This will help people to avoid being oversold on system size, especially in instances when the bigger battery bank does indeed cost significantly more than the smaller one. If the larger battery bank is more cost-effective and can operate at partial states of charge (so that it’s not a problem if it doesn’t reach ‘full’ most of the time – if ever), then by all means the larger one would be the smarter choice – and leaves room for expansion. As you’ve pointed out there are some significant price disparities at present, but we expect these to even out as time goes on and the market matures. At that point in time, these tables will become even more relevant.